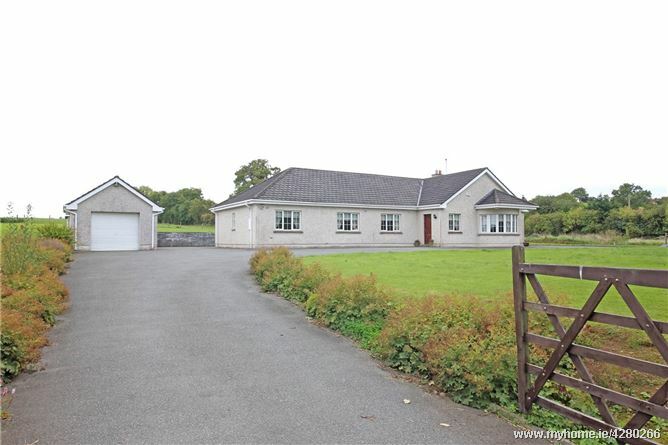 Sherry FitzGerald O' Reilly welcome you to The Willows, a fine four bedroomed bungalow set on 0.75 of an acre in the townland of Eadestown, just outside Naas. 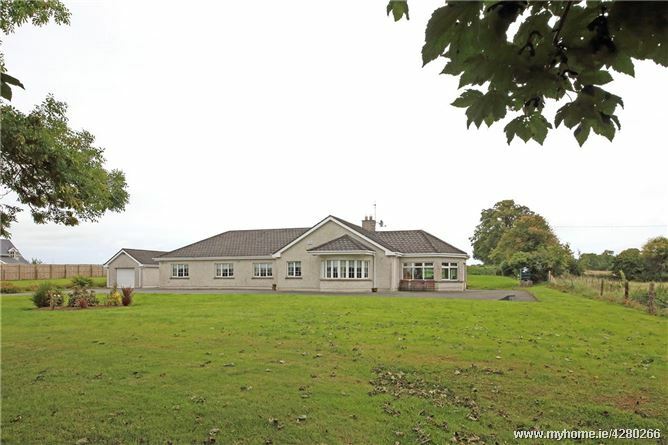 Eadestown is a most sought after area, with its own church and GAA club and a great sense of community. 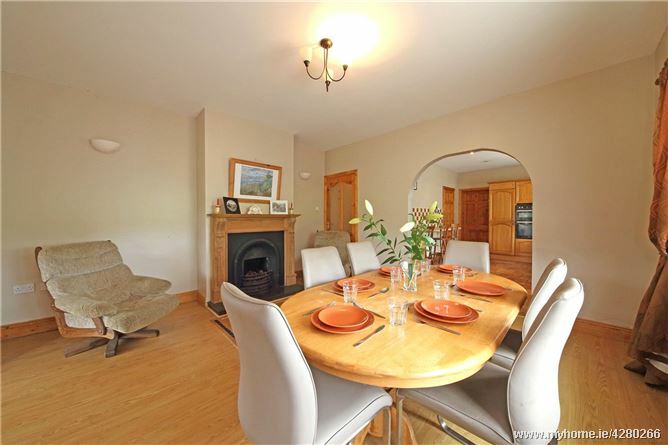 It is just a five minute drive to Naas and ten minutes drive to Blessington, both towns with many schools, shops, sporting facilities and amenities. 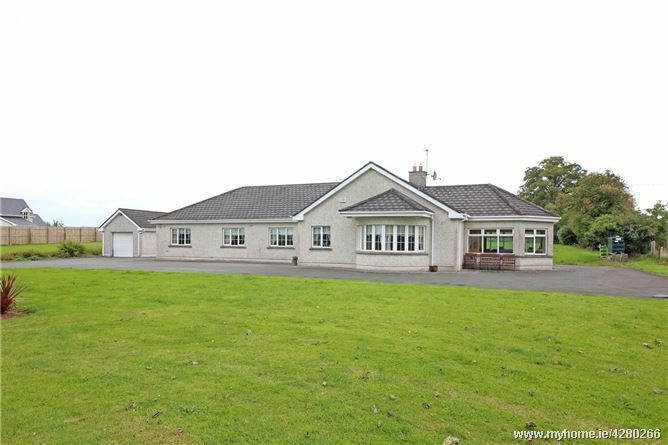 Viewing is a must for those searching for a large family home in a peaceful setting with convenient access to all services. The Willows is a well-proportioned home, with large windows maximising the light into each room. The accommodation briefly comprises entrance hallway, living room, sunroom, kitchen, dining room, utility room, guest wc, family bathroom, 4 bedrooms (1 en-suite). Entrance Hall The large hall has an oak laminate floor and a cloakroom area. There is a hotpress down the hallway. 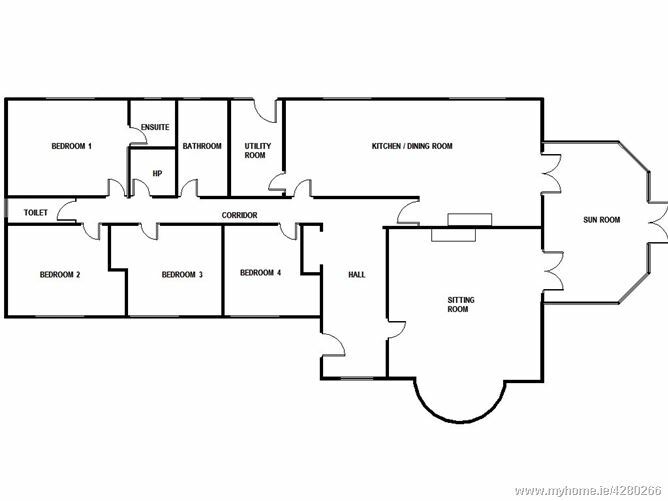 Living Room 6.3m x 5.39m. 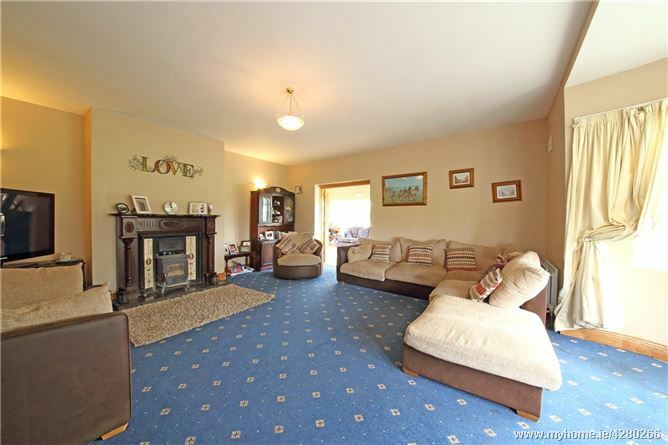 This is a substantial room with a large bay window and view of the front garden. 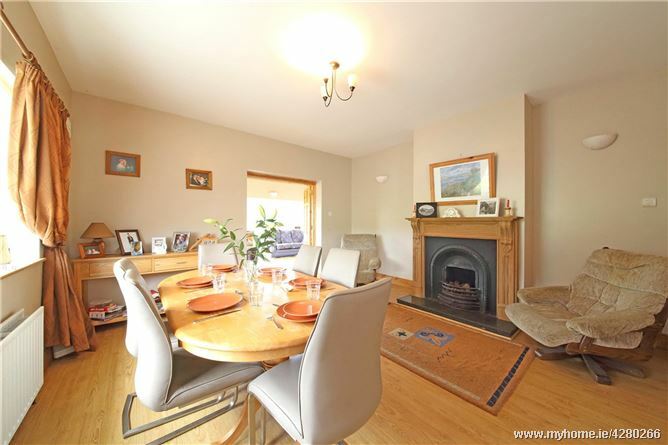 It includes a cast iron fireplace with stove and granite hearth. Double doors lead to the sunroom. Sunroom 5.62m x 3.85m. The spacious and airy sunroom is a wonderful addition to this home. Of triple aspect and with a panelled ceiling it is filled with light. It features an oak laminate wooden floor and sliding doors to the garden. 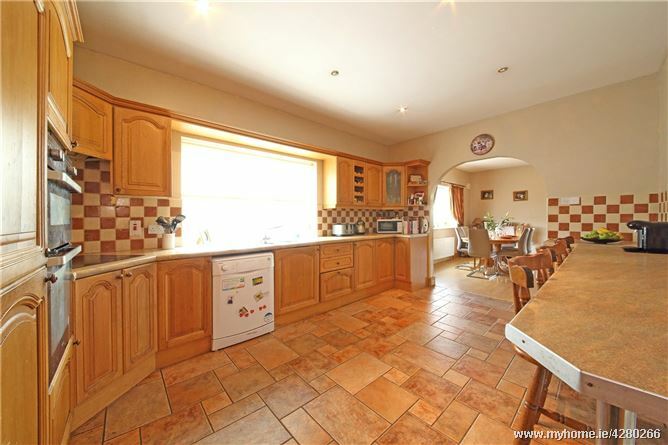 Kitchen 4.83m x 3.31m. 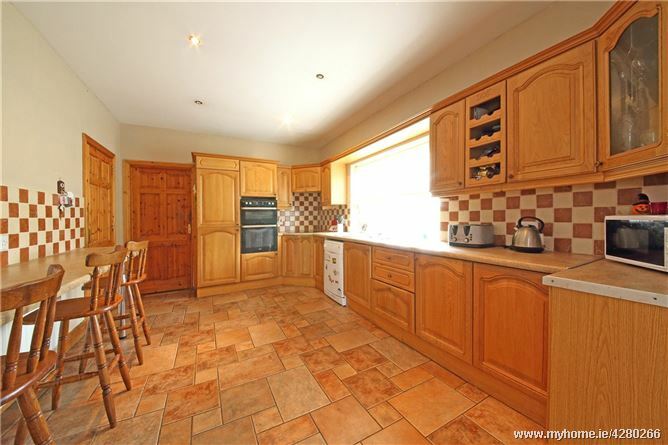 The kitchen has many Oak units, with a laminate worktop and breakfast bar. The floor and splashback are attractively tiled. It includes double oven, ceramic hob and dishwasher. An archway links the kitchen with the dining room. Dining Room 4.44m x 4.41m. The dining room has a feature fireplace of cast iron with a pine mantle. Double doors to the sunroom. Utility Room 3.33m x 2.16m. With storage presses, washing machine and dryer. Back door. Bathroom 3.3m x 1.96m. With wc, whb , bath and corner shower unit with triton electric shower. The floor is tiled and the walls part-tiled. Bedroom 1 4.34m x 3.32m. To the rear of the house this is a large double room with carpet floor, built in wardrobes and TV connections. En-Suite 1.86m x 1.61m. With wc, whb and corner shower unit. Tiled floor. Bedroom 2 4.49m x 3.16m. 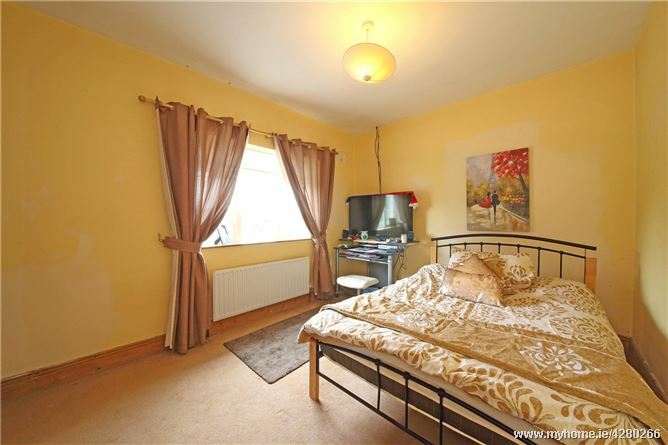 A generous double bedroom to the front of the house, with carpet floor. Bedroom 3 4.3m x 3.12m. 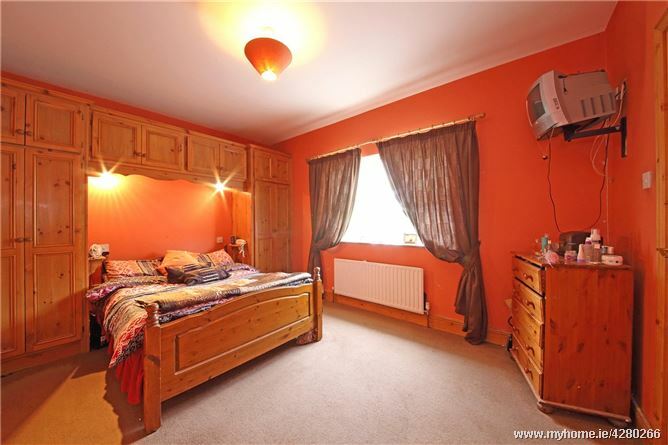 This is a double room with carpet floor. Bedroom 4 3.78m x 3.12m. 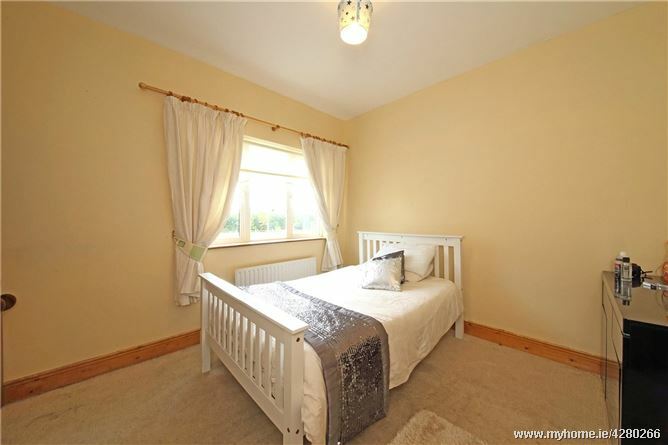 A double bedroom with front garden views. Guest WC 2.42m x 0.96m. With wc, whb and carpet floor. Garage 5.65m x 3.8m. Block built with concrete floor and roller door. With a lean-to fuel shed to rear. 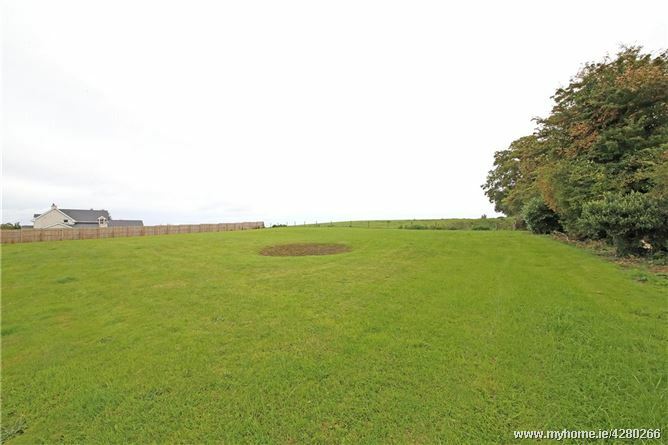 Set on 0.75 of an acre approximately. Extends to a generous 195m2. Ample parking both at front and rear. 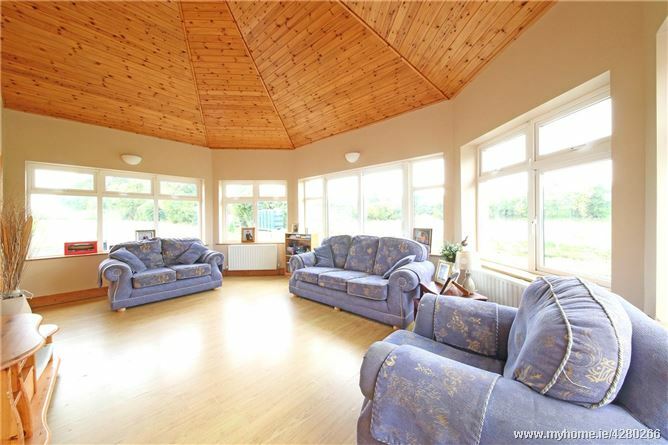 Many reception rooms including sunroom. All carpets, curtains and blinds included. Front garden with mature trees and shrubs. Open countryside at front and rear. 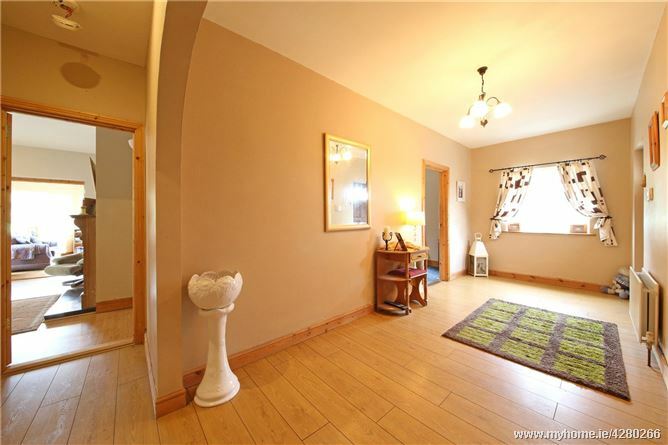 Short drive to M7/N7 and to the Arrow rail link in Sallins. 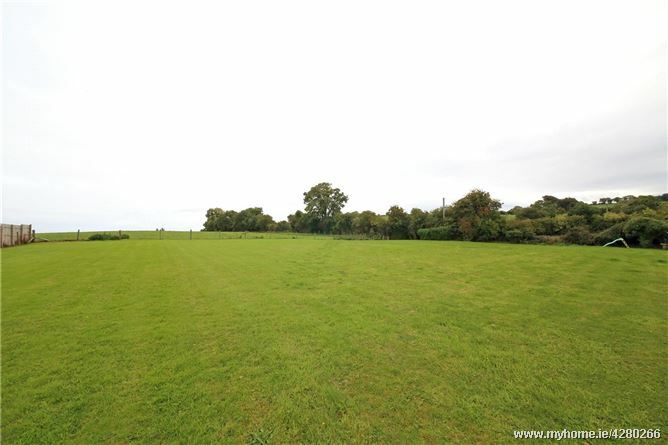 From Naas take the Blessington Road R410 for 5 kms, passing through Baltracey Cross. Take the second right turn and The Willows will be 550m on the left.